#MFMmy Turn your Monday Blues frown upside down with our deep fried Tilapia, flamed prawns with Kimchi or Bulgogi flavoured flaming sauce, grilled clarias and crunchy deep fried chicken wings! Save up RM43.76 NETT as each platter comes with one Kerabu Salad and 2 coolers or Citrus Mint! Tag your friends and join us for an eat-venture of a lifetime with our Adventurer Bonus for RM83.88 NETT! ! #MFMmy Are you somebody's secret santa this year? Well, let us give you a fin-tastic idea of gift, our exclusive Gift Certificates! PM us to find out how to purchase and for more details. Trust us, it's a sea-plendid gift for that seafood fin-atic friend of yours! ! #MFMmy :D Order up Manhattan Flaming Prawns at RM38.70 NETT and enjoy a Manhattan Fish 'N Chips (Dory) or Grilled Glory Dory (worth RM23.78 NETT each) for FREE! You may also enjoy a Buy 1 Free 1 deal on any drinks of your choice from the menu! 😉 Terms & conditions apply. #MFMmy A trip around the world won't be complete without some lobsters! Order and enjoy a plate of Half of Lob-star with Kimchi or Bulgogi flavoured flaming sauces of your choice for RM29 NETT only! #MFMmy Ahoy, travel foodies! Have you collected all the stamps on your Sea The World @ Manhattan Reward Passport? Collect them all and enjoy sea-pecial treats worth up to RM 88 from us! ! Get the Reward Passport from our sea-cret agents today! Terms & Conditions: 1. You will receive 1 (ONE) stamp for every RM 50 spend on “Sea the World @ Manhattan” menu. 2. This Reward Passport can be used at any The Manhattan FISH MARKET in Malaysia except AEON Mall Seremban 2, AEON Mall Bukit Tinggi and Cenang Mall, Langkawi. 3. This Reward Passport is only applicable for “Sea the World @ Manhattan” menu. 4. This Reward Passport must be presented to our staff for stamping or to redeem free food. 5. Free food is not exchangeable for cash or other goods and services. 6. This Reward Passport is not valid with any other on-going offers, discounts, privileges, promotions or vouchers. 7. Loss or damaged Reward Passport will not be entertained. 8. This Reward Passport is valid until 28 February 2019. 9. 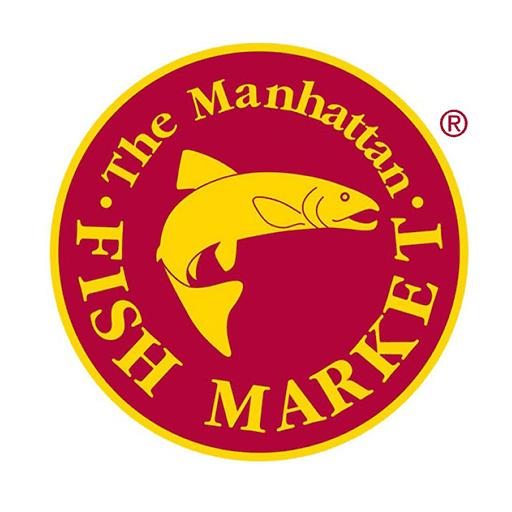 The Manhattan FISH MARKET reserves the right to change the terms & conditions without prior notice. #mfmmy If you missed it, we say you swim by and catch it before it's gone again! *Extended until 4th Nov 2018. #MFMmy Just order any two of the mains or a platter from our Lip Smacking All Day Meal Treasures menu, and you can enjoy either grilled or fried Salmon Head for FREE!